This message conforms to Canada's Anti-Spam Legislation. You are receiving it because your business is in a contractual relationship with Precursor Systems, has done business with Precursor Systems recently, or you have subscribed to our newsletter. Information about unsubscribing is provided below. Click here to take the 25th Anniversary Precursor Systems Quiz! 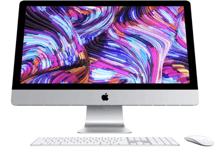 Just ahead of Apple's Special Event next week (which seems streaming content related), Apple released new iMac models with a dramatic 2x performance boost. The new models get up to 8-core Intel 9tt-generation processors and powerful Vega graphics options.The 21.5" model starts at $1,699 CAD and gets up to 6-core processors and delivers up to 60 % faster performance while the 27" model starts at $1,399 CAD and gets up to 8-core processors and delivers 2.4 times faster performance. Click here to check out the new iMacs! another relatively silent Apple update this week is to iPads. The new iPad Air and iPad mini are now comaptible with the Apple Pencil! The iPad Air is based on the includes the Apple Pencil and high-end performance of the A12 Bionic chip at a breakthrough price starting at $649 CAD. It has 70% better performance and twice the graphics capability of the model it replaces. Meanwhile, the new iPad mini also gets the A12 Bionic and offers 3 times the performance and 9 times the faster graphics than the mini it replaces! The new iPad mini has the highest pixel density of any iPad and starts at only $549 CAD. Click here to check out the new iPads! Alex Narvey is now ACSP 10.14 certified. That's Apple Certified Support Professional in case you were wondering. Apple says that ACSP "verifies an understanding of macOS core functionality and an ability to configure key services, perform basic troubleshooting, and assist end users with essential macOS capabilities. This certification addresses the technical skills needed by a macOS specialist who works as a support professional or otherwise assists macOS users with technical issues. Alex first became ACSP (or its equivalent ACHDS) certified in 2004 for Mac OS X 10.3 (see Precursor PS-PR-04-06-28) and is happy to be constantly upgrading his skill set with the new ACSP 10.14 designation for macOS Mojave. Click here to find to see our credentials and certifications! Many of our clients use Meraki security devices and wifi access points. The Cisco Meraki - Apple partnership has already produced FastLane - whereby all Meraki wireless products have built-in integration to be able to prioritize traffic from iOS devices like iPhone and iPad. 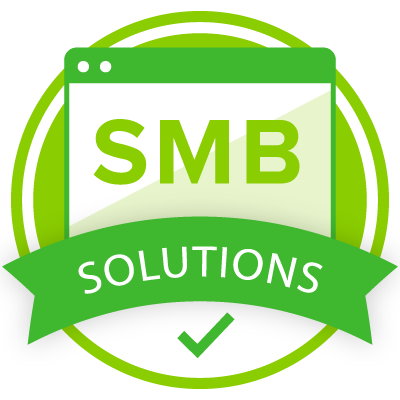 Because the new and upcoming Meraki Go product line is so well placed for small businesses using Apple technologies, Apple and Cisco Meraki have partnered to give certified members of the Apple Consultants Network premium access to training, testing, and distribution. Precursor founder Alex Narvey is now Cicso Meraki SMB Solutions Certified having taken all the training associated with not only Meraki Go but also the Meraki Dashboard Full Stack, including: MR Wireless; MX Security Appliances; MS Switches; MV Security Cameras; SM Systems Manager; and Meraki Insight. Click here to see the Meraki Go introductory video! Copyright © 2019 Precursor.ca , Inc..